Over a year later, my post How to Write Lesson Plans an Entire Year in Advance is still easily my most popular. 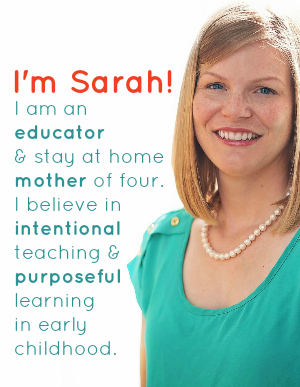 From that post, my readers asked that I share my preschool lesson plans. I was happy to oblige. 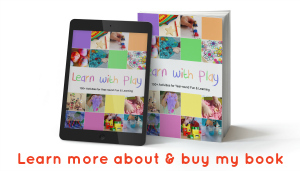 Currently, my preschool literacy lesson plan bundle gets the most attention, and it is everything you need to teach a comprehensive literacy program for preschool. 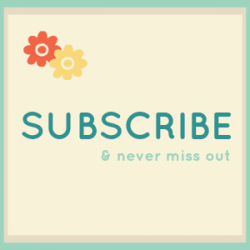 Everything, that is, except preschool phonics centers and hands-on manipulative based letter identification and beginning sound practice. That’s about to change, my friends! This is only one set of three to come. 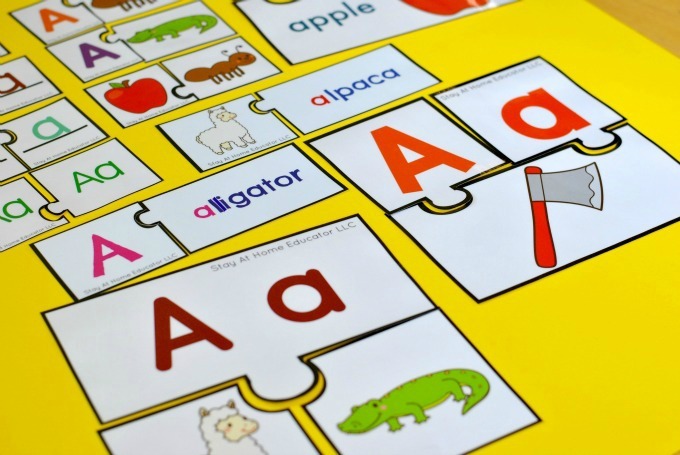 There are several different levels of letter identification and beginning sound practice included in this set, so as a teacher or homeschooling parent you can pick and choose which puzzles your preschooler will respond best to. 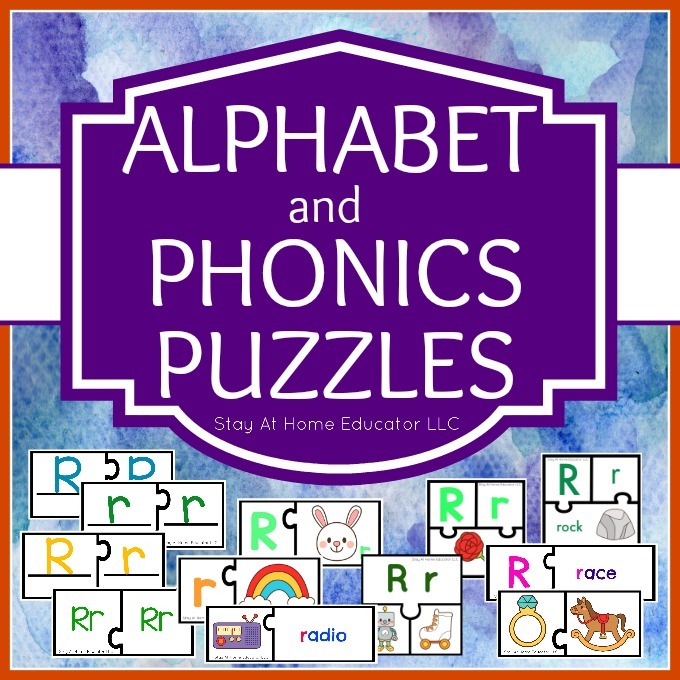 And, since these preschool phonics puzzles are focused on the letters of the alphabet, you can also choose how you introduce them to your preschooler based on your own teaching philosophy, even if you have not invested in my Preschool Literacy Bundle. They will still be very effective! There are eight puzzle sets included that focus on beginning sounds. These puzzles are vary in difficulty. No matter your preschooler’s abilities, these 12 puzzle sets are the right materials for your child. You can choose to pull all the puzzles of the same letter to pair with my preschool phonics curriculum, or you can choose to use them differently. 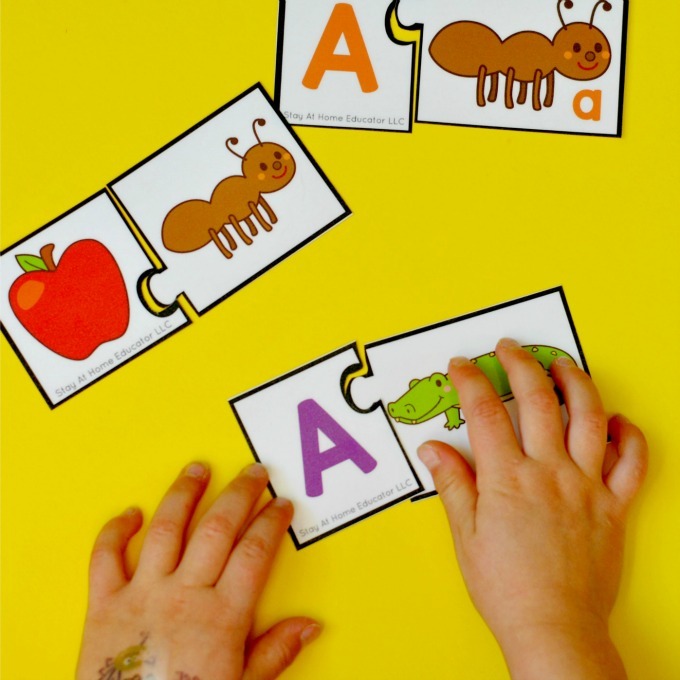 If you’re thinking your preschooler would enjoy these effective literacy puzzles, you can grab your set here! The second set of preschool phonics centers will feature greater levels of difficulty, while still focusing on letter and beginning sound matching. Yes, there may be a third set coming up, too, featuring letter formation! Stay tuned! I would like to purchase the literacy puzzles. However, I cannot locate them on the teachers pay teachers website. I selected “grab your set here . . .” Am I simply missing them? What should I look for? Right! I’m so sorry. I had taken the product down a few days ago to revise it as I noticed a spelling error. It is now corrected and back up in the store. Thanks for commenting. I hope you enjoy them.